The Redhill Business Guild is committed to handling your Personal Information in a responsible manner and provide the appropriate safeguards. The Redhill Business Guild follows the guiding principles of the General Data Protection Regulations (GDPR) and the Privacy of Electronic Communications Regulations 2003 when it comes to your protecting your data. The secretary of the Redhill Business Guild is the Data Controller as defined by the GDPR and can be contacted by email at secretary@redhillbg.org.uk. This privacy statement discloses the privacy practices for The Redhill Business Guild. Please email us at secretary@redhillbg.org.uk if you have any questions. 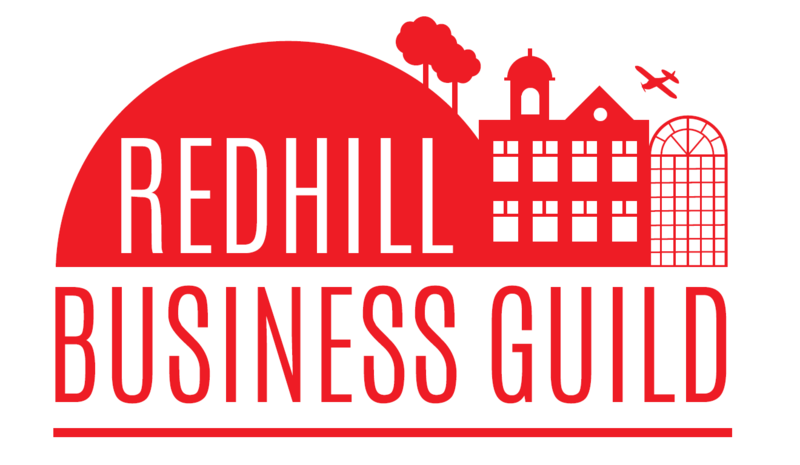 The Redhill Business Guild regards all contacts and members with great value and we respect their privacy. We have a firm and continuing commitment to the privacy of personal information provided by those visiting and interacting with this web site. When personal information is collected, it is used to process your order efficiently. We will regularly update our contacts and members of news and updates which we consider valuable to them. We recognise the importance of protecting your privacy and our policy is designed to assist you in understanding how we collect, use and safeguard the personal information you provide to us and to assist you in making informed decisions when using our site. This policy will be continuously assessed against new technologies, business practices and our members’ needs. If you purchase any goods or service via Redhill Business Guild your personal information is completely secure as we use the industry standard security protocol Secure Sockets Layer (SSL) to encode sensitive information like your credit card number that passes between you and The Redhill Business Guild. Our payment gateway uses the latest 128-bit encryption technology in all areas of the site which require you to provide personal or account information. This means that the credit card information you send is encrypted by your computer, and then decrypted again on our side, preventing others from accessing your private information in between. You can email us at secretary@redhillbg.org.uk if you have any questions regarding the security. Credit card information is not held by the Redhill Business Guild. When you purchase any good or services it is processed through a secure third party payment gateway. Occasionally, we may also use the information we collect to notify you about important changes to our website, new services, and special offers we think you will find valuable. You may notify us at any time if you do not wish to receive these offers by emailing us at the link provided on the newsletter or choosing to unsubscribe from messages. We will not give, sell, rent, or loan any personally identifiable information to any third party, unless we are legally required to do so or you authorise us to do so. We may disclose information when legally compelled to do so, in other words, when we, in good faith, believe that the law requires it or for the protection of our legal rights. We may also disclose account information when we have reason to believe that disclosing this information is necessary to identify, contact or bring legal action against someone who may be violating our Terms and Conditions or to protect the safety of our users and the Public. The Redhill Business Guild allows visitors to unsubscribe so that they will not receive future messages. After unsubscribing, we will discontinue sending the particular messages as soon as technically feasible.